If you’re looking for a creative boost, a muse to whisper ideas to you, or just something to give you a kick in the pants, look no further than your local Chinese stationery store. Instead of dismissing the bizarre English the notebooks here are generally covered with, use them to your advantage. Take their adages to heart, and you might just find the guru you’ve been searching for. I’m guessing this is basically the same as “Happiness, period.” Yes. Just choose happiness, period. It doesn’t get much simpler than that. “Smile when you greet others. Smile when it’s getting tough. Smile when it’s hell. Smile no matter what happiness will come.” The grammar of that last sentence could go one of two ways. It might mean “smile no matter what, and happiness will come” but it also could mean “no matter what kind of happiness will come, you should still smile.” Well, let’s ignore that for now and just focus on the general sentiment. SMILE. See? You’re happier and more motivated already. You know what else will always make you happy? Right? So keep buying notebooks. Like this next piece of awesomeness. WOW. Inspirational gold! Plus there are dolphins. Yes! Remember your dream and roly on your own efforts! Whether you are facing actual junior high good envy girls, or the junior high good envy girl demons of your past, whether you are wearing fashionable dress or children’s wear, keep on’ keepin’ on and achieve your dreams! Okay, once again, we need to navigate the waters of Sketchy Grammar, but I’m certain this is something super inspirational. In fact, if you go get this tattooed somewhere prominent in a really swirly font, you are SURE to be perpetually inspired each and every time you see this. Alright. We’ve seen dolphins, we’ve talked about souls and dreams, we know we need to smile and happiness, dot. We are all pumped up and ready to go! Now what should we do with all this creative energy? 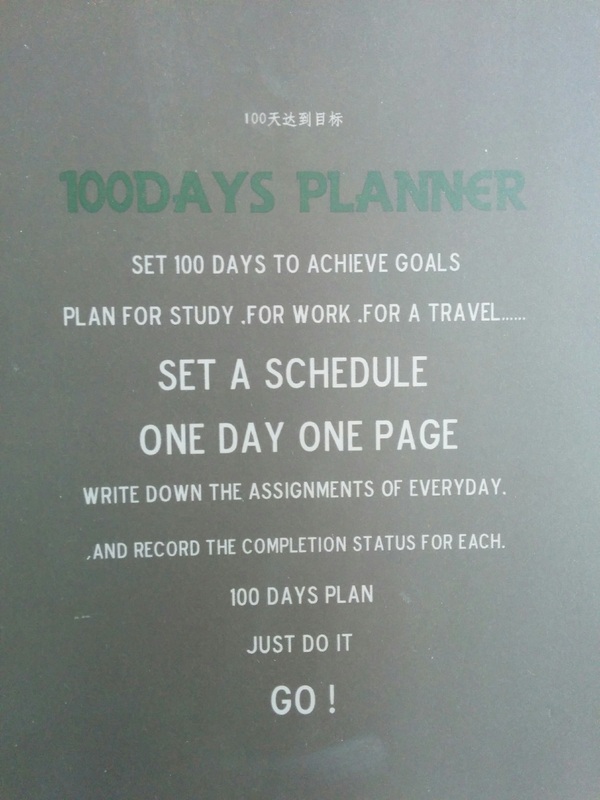 If you don’t already have some goals in mind, Chinese notebooks have a few suggestions. 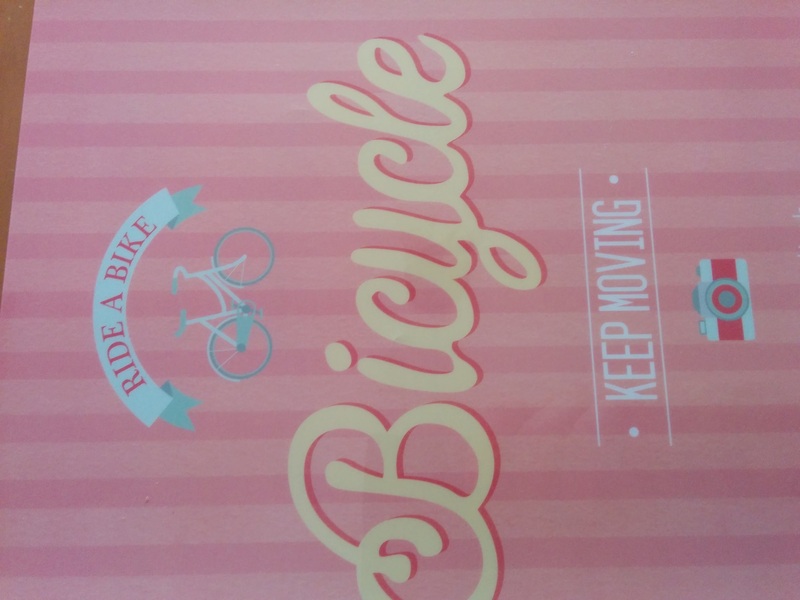 Ride a bicycle! And keep moving! Excellent idea. What else ya got, stationery? 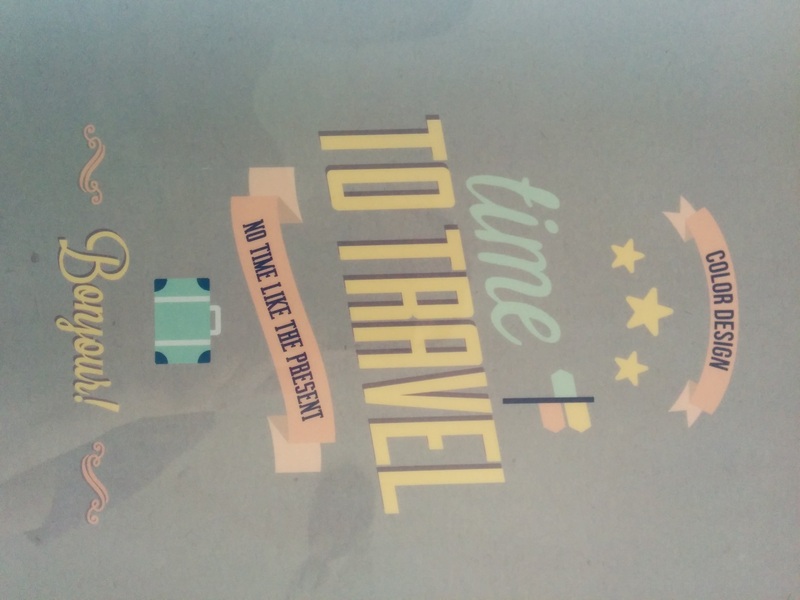 Travel? Absolutely! That’s an even better idea than riding a bike. Any other suggestions? Become a DJ and decide on a date, location, price, and dress code for my very own 1998-style rave?!? Best idea yet! 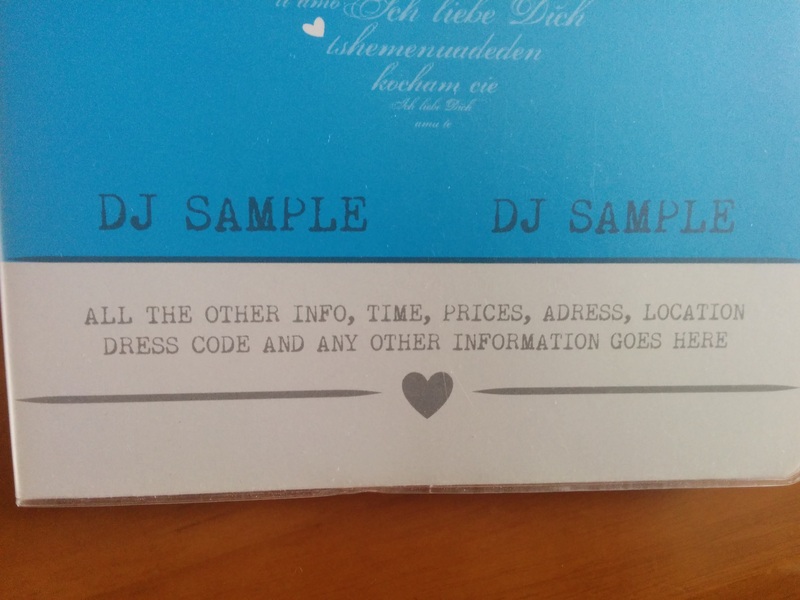 This notebook even has a great name suggestion: DJ Sample. Awesome because it’s not only got a “your text here” vibe, but is also exactly what a DJ does: samples music. Genius. Alright, we have the inspiration, we have the goals. Now, we don’t want our motivation to lag. How can we find the daily juice to keep us going? I mean, aside from that bird/soul tattoo we just got. Don’t worry, Chinese stationary has totally thought of that. Well, I don’t know about you, but I am all set to reach for the stars! Actually, these photos are making me think that my next life goal needs to start using a better camera than my cell phone. Ugh. 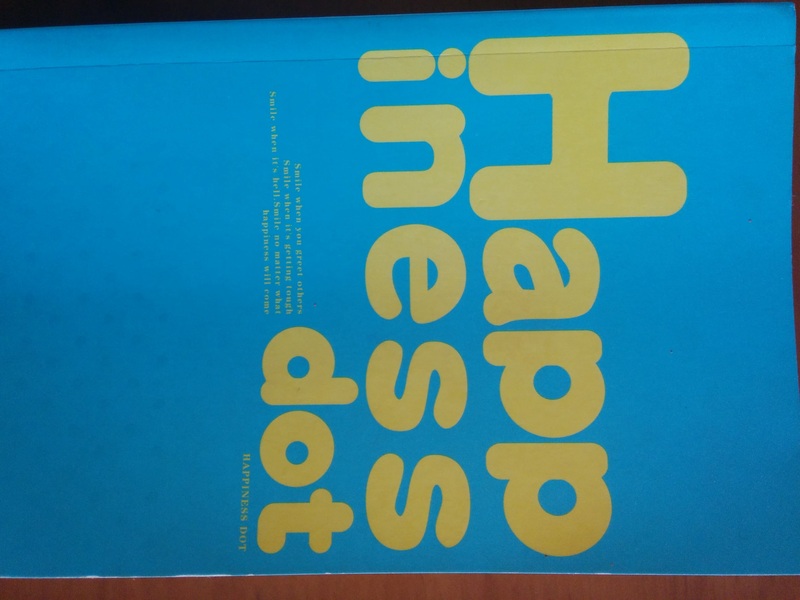 Focus on the waves of happiness these Chinese notebooks just deluged you with. And remember, whether you succeed or fail at your goals, Chinese stationery will love you unconditionally. Unconditionally, and in multiple languages. 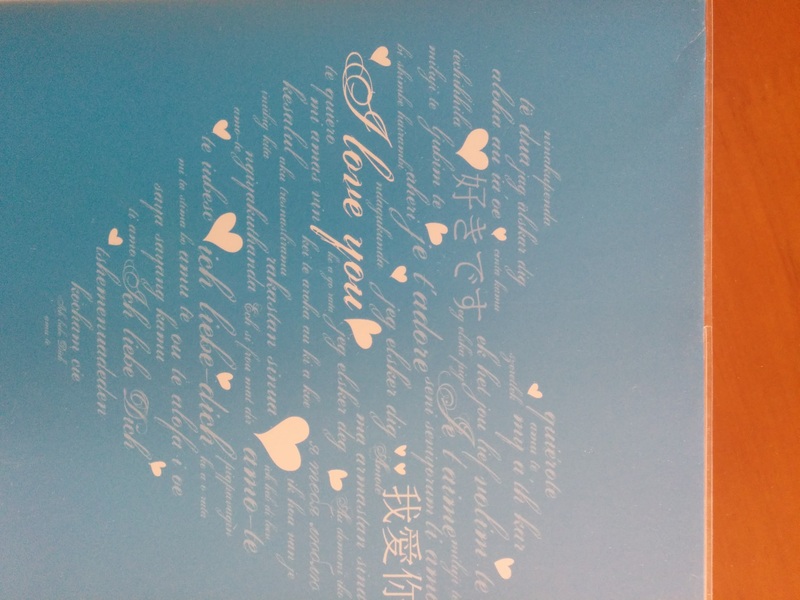 Aw, you are just so sweet, Chinese notebook! Right back atcha. Waa-haa-haa! The best laughs I had in Hong Kong were in a stationery store. 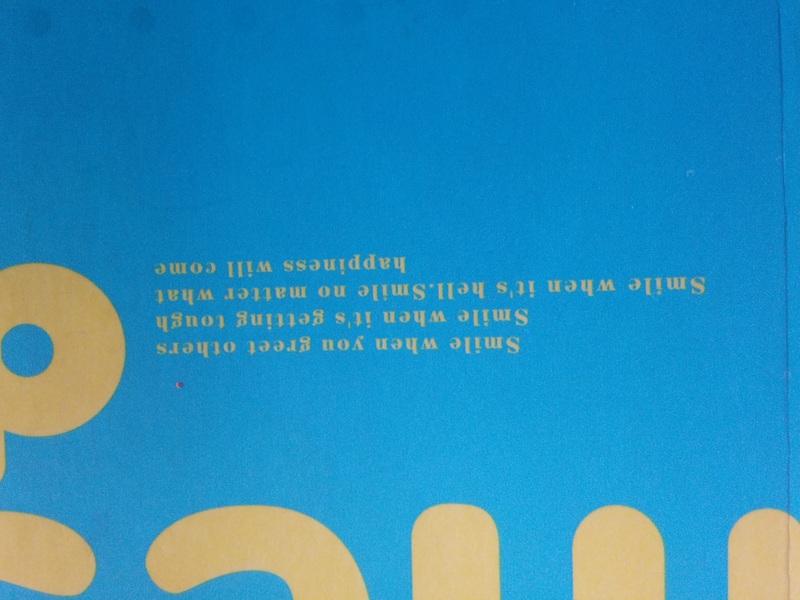 Thanks, Emily, for doubling me up in convulsive waves of mirth, or perhaps the waves of doubling convulse mirth up me. Oh, to have a Chinese stationery store here would be great therapy on 100 days, or the 47th day when I plan to laugh. It’s hard to beat Chinese stationery stores for laughs! Love. love. love. your blog…..I know I can always laugh because it is all true! And sometimes the truth of life as an expat is stranger than fiction! Thank you for your creativeness and seeing some of the “hard” things with humor. Thank you so much, Julie! Those are pretty entertaining. 🙂 Thanks for sharing! Haha, I love this. One of the most interesting parts of life in China is reading the English. We’re staying beside an “abercrmbie” store in Beijing but if you go up close you can see someone added an “o” with a pen. T-shirts can also be inspirational! I saw a woman yesterday with “POOP” emblazoned across her chest. Long live Chinglish! It is pretty amusing, so I secretly hope it never dies.